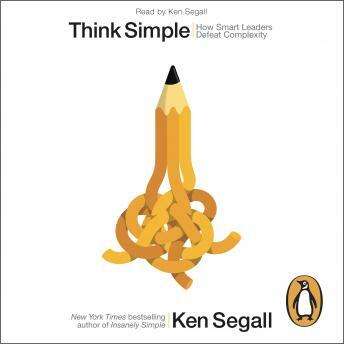 Penguin presents the unabridged, downloadable, audiobook edition of Think Simple written and read by Ken Segall. Whether you're in a multinational corporation or a lean startup, this guide will teach you how to crush complexity and focus on what matters; how to perform better, faster and more efficiently. Combining his insight from Apple with examples from companies across industries all over the world - including Ben &amp; Jerry's, Whole Foods, Intel and HyundaiCard - Segall provides a simple roadmap for any company to find success.